As a Cloudflare Certified Partner, we’re providing you with the ability to easily enable the free plan from Cloudflare, for all your domains. 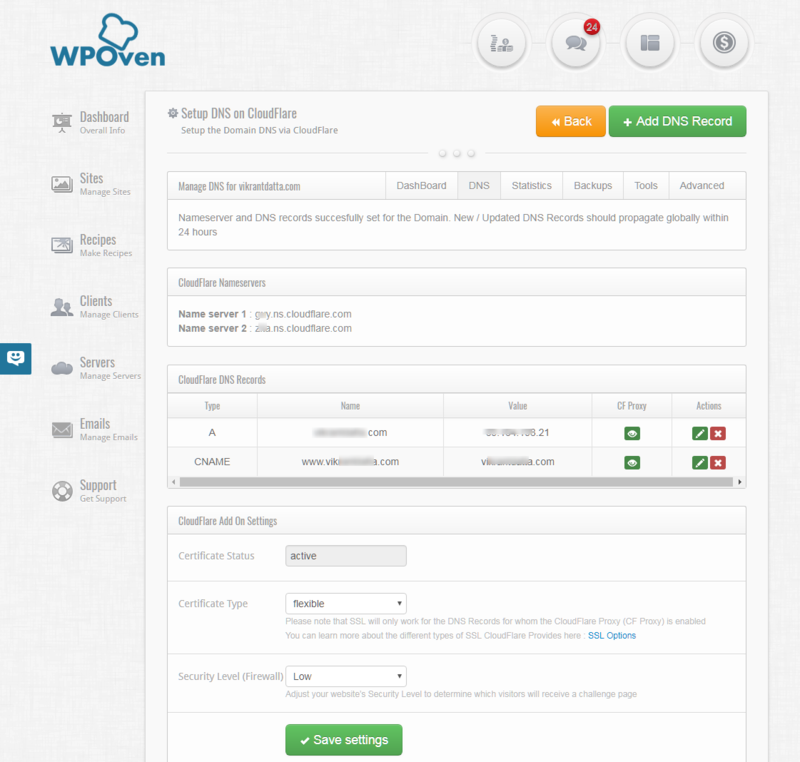 You will be able to set the DNS records for all your sites hosted with WPOven from the WPOven dashboard itself. 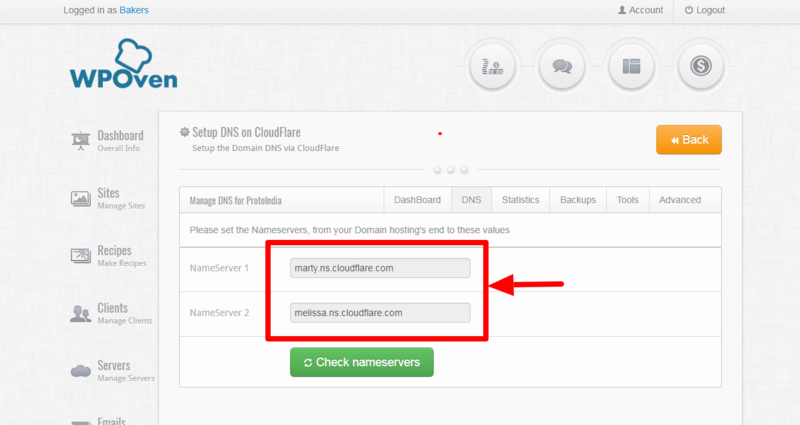 Step 2 Click on the ‘DNS‘ Tab to open the DNS creation page. In case you already have a CloudFlare account you can check the ‘Existing CF User’ Checkbox, if not, simply select the site and click on the ‘Add Site‘ button. 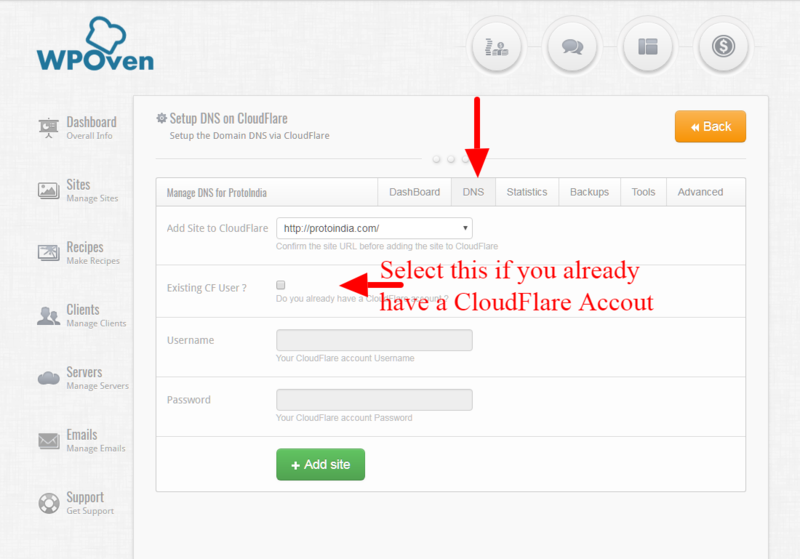 Step 3 : Once you see the following form on your screen, it means that the site has been added to your CloudFlare account and you should also have received an Email regarding this from CloudFlare. You will be provided with 2 Nameserver records in the form. You need to simply login to your DOmain hosting account and change the nameservers for your domain to these values in the form. Step 4 : Once the Nameserver changes take effect, you will see the following screen as confirmation and you will also receive an Email from CloudFlare regarding the same. Two basic DNS records should be added automatically, i.e the Aname record and the Cname record for ‘www’. 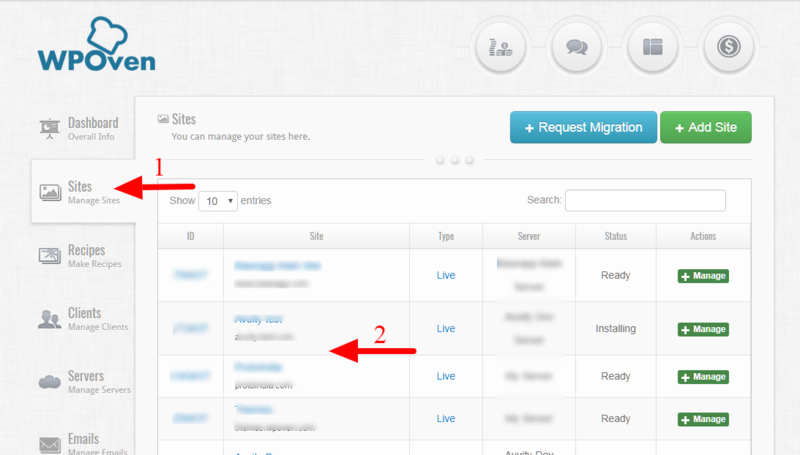 In case you wish to add more records, you can simply use the ‘Add DNS Record‘ button placed on top of this page.